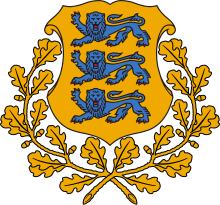 Estonia, officially the Republic of Estonia, is a country in the Baltic region of the northern European Union. It is bordered to the north by the Gulf of Finland, to the west by the Baltic Sea, to the south by Latvia, and to the east by Lake Peipus and Russia. Estonia is a democratic parliamentary republic divided into fifteen counties, with its capital and largest city being Tallinn. With a population of 1.3 million, it is one of the least-populous member states of the European Union, Eurozone, the North Atlantic Treaty Organization (NATO), the OECD and the Schengen Area. Putin has every incentive to stir up trouble in Estonia, because it is the point of maximum contradiction between the geopolitical idealism of NATO expansion, and the realpolitik factors by which world affairs are actually driven. As such, it is the point of maximum weakness for the alliance. NATO is obligated to fight for Narva or admit that Article Five is a lie, but NATO has no strategic or moral justification for doing so, and would be intervening to prevent a genuinely oppressed local population from exercising self-determination. In effect, then, NATO would become complicit in that oppression through its actions. Putin could ask for no better battlefield. In the course of centuries never have the Estonian people lost their desire for independence. From generation to generation have they kept alive the hidden hope that in spite of enslavement and oppression by hostile invaders the time will come to Estonia "when all splints, at both end, will burst forth into flames" and when "Kalev will come home to bring his children happiness." Ants Laaneots, Estonian general and member of the Parliament’s Defense Committee, has his own explanation for the blatant acts of racism on Tallinn’s streets. He does not exclude the conspiracy that the massive attacks on African-American NATO soldiers in Tallinn were ordered by private individuals from Russia as the provocation to compromise his country in the eyes of the United States. Police must carefully investigate every case of such attack to determine Russia’s involvement, he believes. More than twenty years after the restoration of Estonia’s independence, the opinion that time would automatically resolve the integration issue of non-ethnic Estonians, and that the younger generation born here would blend into Estonian society, has not been confirmed in practice. We value our independence, clearly and dearly, and I’m sure that we will put up resistance, come hell or high water. We'll be here for Estonia. We will be here for Latvia. We will be here for Lithuania. You lost your independence once before. With NATO, you will never lose it again. They are willing to give their lives for our freedom. Are you, petty patriotic racists, ready to give so much for our country? Our soldiers and embassy will continue to stand with the vast majority of the Estonian population who do not support or condone intolerance. However, businesspeople, tourists and students who experience similar treatment may take away a very different view, which over time will erode Estonia’s positive international reputation. This page was last edited on 18 November 2018, at 11:33.